Meadmaking is a very creative endeavor, much like homebrewing, while the end product is closer to wine, particularly when fruits are used. However, meadmaking remains unique and special in comparison to the brewing and winemaking hobbies. To think, in this day and age of proliferating craft beers and wines, you can create astonishingly delicious honey wine products that are not easily obtained commercially. For the winemaker, it can be a great off-season use of their knowledge and equipment. For the brewer, it can be a great way to produce fun, and surprisingly enjoyable new products and reignite their passion for inventing their own beverages. Meads remain rare in the marketplace, and meadmakers remain rare in society. But in its heyday, mead was once considered by Europeans to be a product far superior to beers and wines. There are many categories within the rich mead tradition including sparkling and still mead, sweet and dry mead, sac mead and hydromel (strong and weak), melomel (fruit mead), braggot (beer/mead hybrid), metheglin (spiced mead), cyser (apple cider mead), and brochet (burnt honey mead). 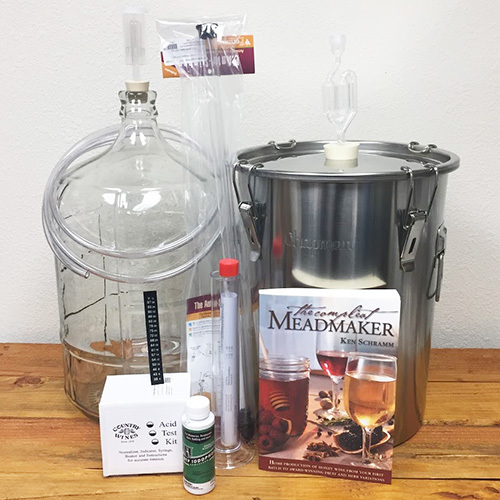 With the equipment in this kit, the book The Compleat Meadmaker in hand, and the recipes and recipe kits on our website, you will be part of the mead renaissance. Much of the awareness and appreciation of the less commercial beverages has come from home enthusiasts. As a new hobbyist yourself, you will help stretch the limits and boundaries of mead and its styles. Perhaps along the way you will develop a taste for quality mead and pass it along to your friends, family, and neighbors. Also, you can find meadmaking instructions and recipes in the learning section of our website. 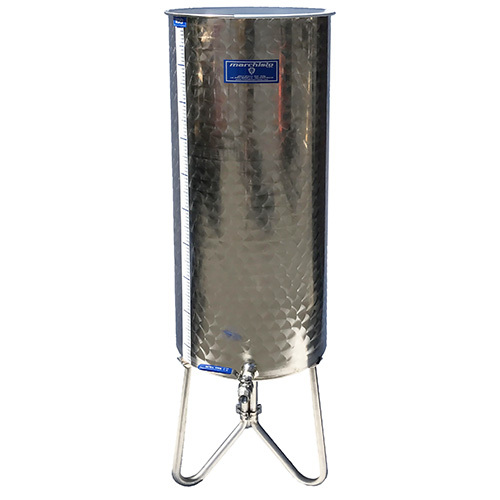 7 Gallon Stainless Steel Chapman Univessel Fermentor - DUAL PURPOSE KETTLE AND PRIMARY FERMENTOR!